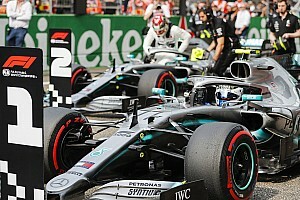 The Mercedes driver was fourth fastest during the first runs when he used the hard-compound Pirellis, while teammate Lewis Hamilton was quickest using mediums – setting a time of 1m34.226s after a quick spin at Turn 3 on his out-lap. Ferrari driver Vettel was the first of the frontrunners to set a time on the soft Pirellis, initially going fastest with a lap of 1m33.357s to outpace Hamilton by 0.869s just after the half-hour mark. Bottas then put in his quick lap on softs, losing 0.144s in the first sector but outpacing Vettel by 0.176 in the middle sector. 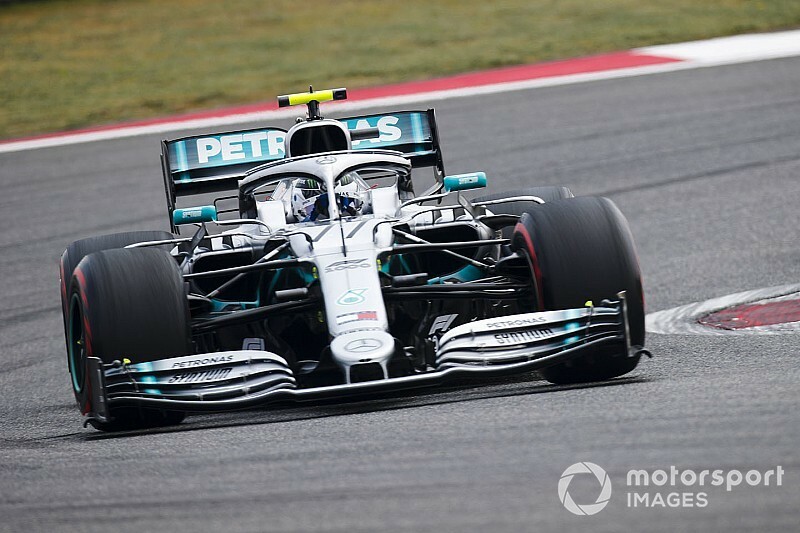 Bottas then almost matched Vettel in the final sector, losing only 0.005s, to set a time of 1m33.330s to secure top spot. Red Bull driver Max Verstappen was third fastest for Red Bull, 0.221s down and almost half-a-second faster than Hamilton. Hamilton didn't put together a strong lap on the softs, ending up just half-a-tenth faster than the Renault of Nico Hulkenberg. 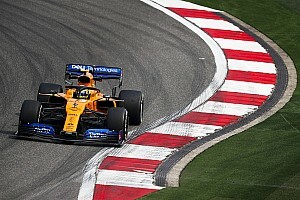 Carlos Sainz continued McLaren's recent strong form with sixth fastest, eight tenths off the pace and 0.0017s ahead of the second Ferrari of Charles Leclerc. Leclerc was only able to improve by 0.113s on his medium-compound pace on the softs, meaning he ended up sandwiched between the two McLarens and just over a tenth ahead of Lando Norris. 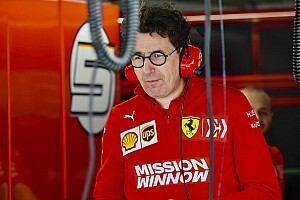 Leclerc's running in the session was curtailed after 13 laps as he returned to the garage for cooling checks "as a precaution to avoid any damage". Daniel Ricciardo, in the second Renault, was ninth and a second off the pace, with Red Bull driver Pierre Gasly one of the last to set a time on softs and ending up 10th. Alfa Romeo driver Kimi Raikkonen was briefly as high as fifth before being shuffled down to 11th place ahead of the lead Toro Rosso of Alex Albon. 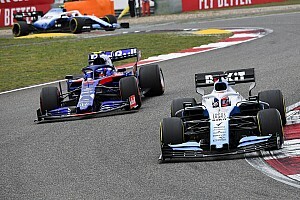 Racing Point duo Lance Stroll and Sergio Perez were 13th and 14th ahead of the Haas of Kevin Magnussen, with the trio separated by just 0.009s. Daniil Kvyat in the second Toro Rosso missed the first half of the session after a precautionary power unit change, which the team said was because of finding an "anomaly" in the first session. Haas driver Romain Grosjean was 17th after losing a front wing during the session after it appeared to break on the right side, apparently thanks to the loads created by the bumps on the approach to Turn 1. Alfa Romeo driver Antonio Giovinazzi, who missed most of the first session with an engine-related problem, was 18th ahead of the two Williams drivers, with Robert Kubica leading George Russell.